Nose: Starting sweet, with a few citrusy notes. Further nosing reveals a very sweet, even Bourbony if i might say. Dried fruits, Wood spices, and BIG BIG vanilla going on there. Lovely nose! Palate: Sweet entry,Some woody notes, spices (mostly nutmeg) ,and vanilla. The palate delivers big time, and i liked it very much. Very balanced, everything in place. A real pleasure. Finish : Long, Sweet with toffee and wood spices lingering…. This is far better than the 12 year old, and even the WK209. It’s the clear winner of the night. Oodles of vanilla, and wood spices, integrated wonderfully. It’s almost twice as expensive as the 12 year old, but well worth the extra buck if you ask me. This is a class A dram, and I'm happy i got to sample it today. Definitely shoots its way up on my wish list. Good work Malcolm! 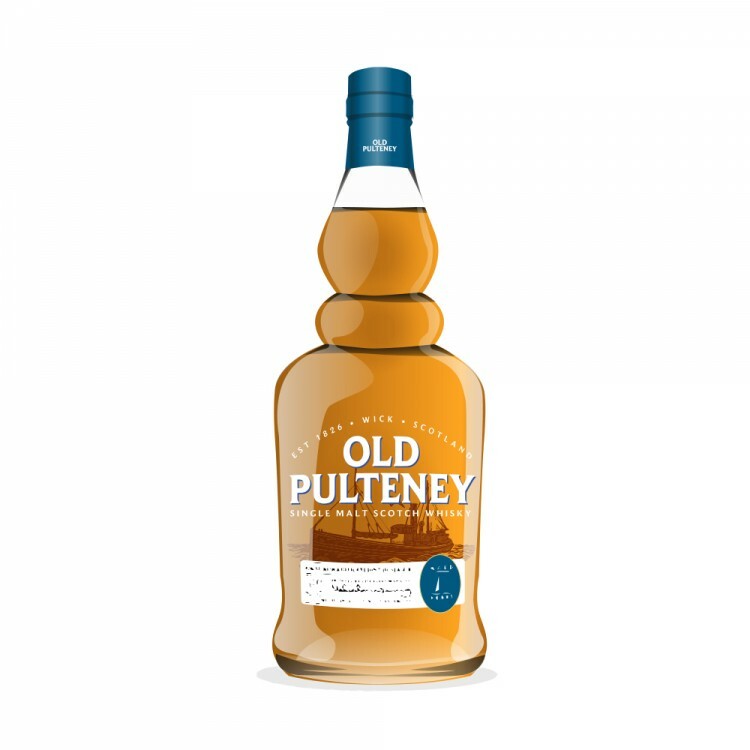 Old Pulteney 17 Year Old Another winner!